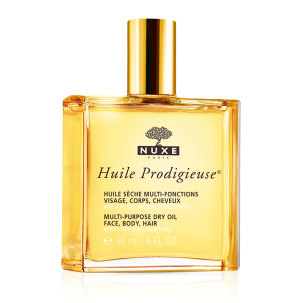 Huile Prodigieuse is French brand Nuxe's iconic product. It's been around for a long time (created in 1991), and it has gained cult status and following in France. 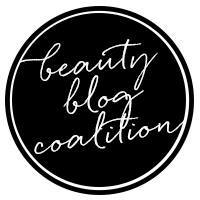 It is, indeed, a great product that can be used in many different ways, making it a versatile staple in a woman's beauty cabinet. It's a dry oil that can be used on body, face and hair to nourish and soften. It is quite strongly scented - the fragrance reminds me of Tahitian monoi, it's a sweet tropical flowery scent. 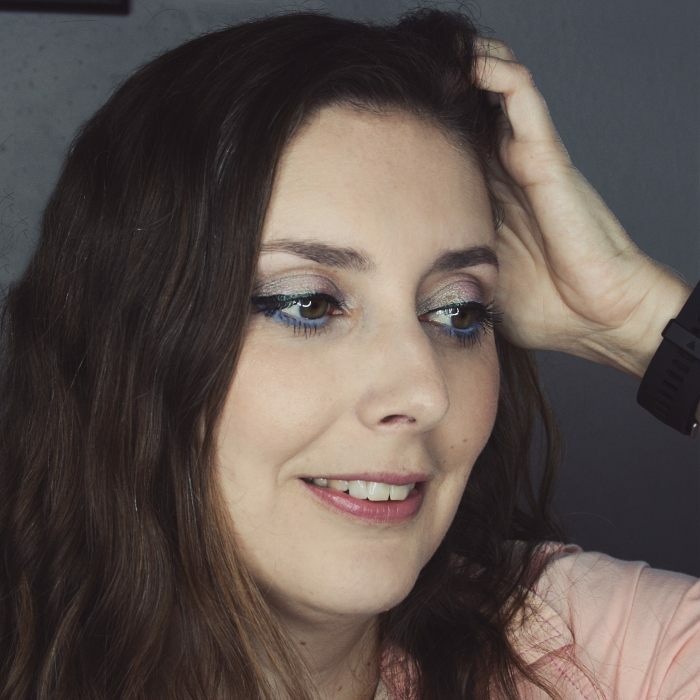 Nuxe claims that it contains 96% natural ingredients, and it's made mostly of Macadamia, Hazelnut, Borrage, Almond, Camellia and St. John's Wort's oils. Here is the INCI ingredients list: Isopropyl Isostearate*, Macadamia Ternifolia Seed Oil*, Coco-Caprylate/Caprate*, Dicaprylyl Ether*, Prunus Amygdalus Dulcis (Sweet Almond) Oil*, Corylus Avellana Nut Oil/Corylus Avellana (Hazel) Seed Oil*, Camellia Oleifera Seed Oil*, Parfum (Fragrance), Tocopherol*, Borago Officinalis Seed Oil*, Olea Europaea (Olive) Fruit Oil*, Helianthus Annuus (Sunflower) Seed Oil*, Rosmarinus Officinalis (Rosemary) Leaf Extract*, Hypericum Perforatum Flower/Leaf/Stem Extract*, Solanum Lycopersicum (Tomato) Fruit/Leaf/Stem Extract*, Caprylic/Capric Triglyceride, Benzyl Salicylate, Butylphenyl Methylpropional, Citronellol, Geraniol, Hydroxycitronellal, Limonene, Linalool. (* indicates a vegetal ingredient). I've used this oil for a long time now and I think it's a great body and hair oil. I personally don't like to use strongly scented products on my face, but I know it's also possible and can help with dry skin. It is a dry oil but not quite as dry as others I've tried, so it requires a little bit of massageing in to be fully absorbed by the skin, leaving no greasy feeling but a nice sheen. On the other hand, it has a real and long lasting nourishing power (unlike silicone based oils). It also works well to soften and nourish the dry ends of my hair, and adds a nice shine to my locks. Get a spray bottle! Some smaller bottles don't have a spray and it's a lot less convenient. 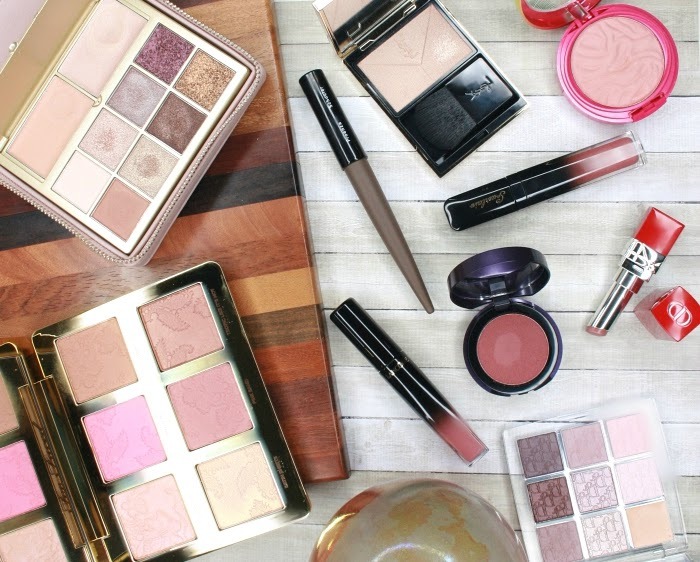 If you want more glam for your summer night, there's an Or version, saturated with golden particles. 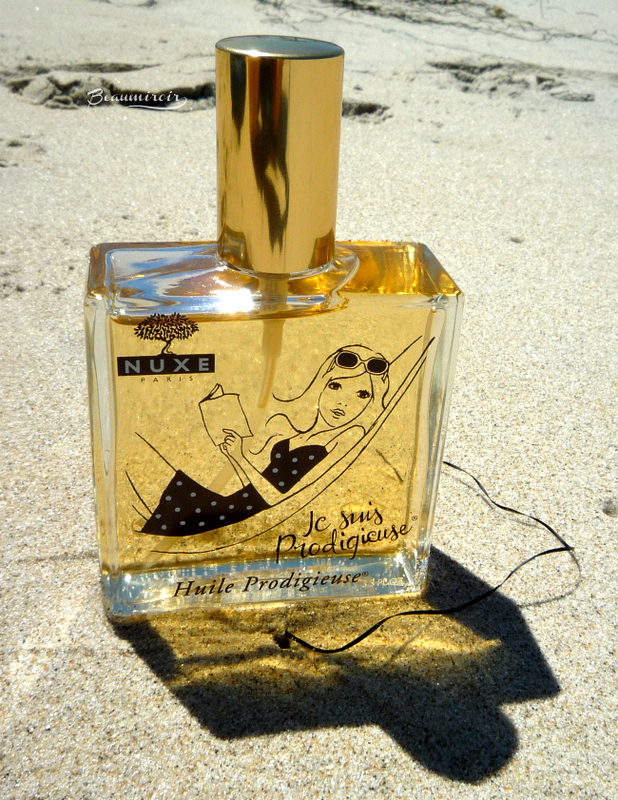 If you fall in love with the scent, which is very likely, you can get the Prodigieux shower gel and fragrance!